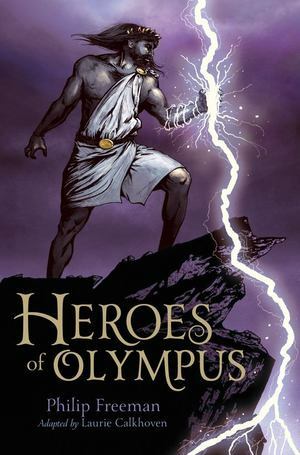 Fast-paced and action-packed retellings of the most important Greek and Roman myths. Ancient myths continue to have modern relevance--for thousands of years they have been the basis for plays, operas, paintings, and movies. And in these retellings from acclaimed writer and scholar Philip Freeman, classic tales from Greek and Roman mythology find new life and inspire aspiring writers, artists, and musicians. Adapted from the lengthier Oh My Gods and specially tailored to a younger audience, these irresistible stories of philandering gods, flawed heroes, and tragic lovers portray the fundamental aspects of humanity and are filled with entertaining drama and valuable insights.